Forget about Democrats and Republicans, the war between Uber and Lyft is heating up, with Lyft revealing plans to launch in 100 new U.S. cities by the end of the year, bringing its total to 300. It's adding the first 40 new cities today. Uber, by contrast, operates in 450 cities worldwide. 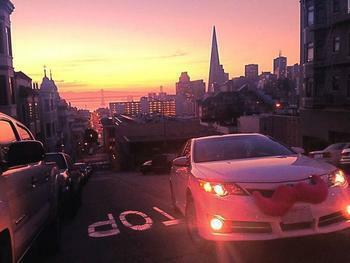 If it sounds to you like the ride-sharing giants may be running out of cities, you're right. Among the 40 cities Lyft is adding today are Harrisonburg, Va, Redding, Calif., and Johnson City, Tenn. Great little towns no doubt, but not exactly Boston or Dallas. While adding cities is an obvious way to grow, both services are also broadening the scope of their services. Lyft, for example, recently announced it was partnering with home healthcare services to provide non-emergency medical transportation. Even more esoteric, Uber and Lyft have rolled out programs that let you use pre-tax dollars to hitch a ride to work. Through partnerships with companies like WageWorks and Zenefits, Lyft is letting employees use their benefit accounts to pay commuting costs. Uber has a similar program. They apply only in certain cities at the moment. Another way to grow business is to cut prices, something Uber has been doing rather aggressively, and today Lyft said it has cut its fares by about one percent nationwide. That doesn't sound like much and may not matter to most passengers but it puts a dent in drivers' pockets, which seems to be causing a noticeable attitude shift among the drivers we hear from and encounter on frequent Uber and Lyft journeys. In fact, the Uber drivers we encounter are starting to sound like New York cabbies. We heard recently from a Los Angeles driver who goes by the moniker of Wise Guyy. "Do you know as an Uber driver here in Los Angeles, our vehicles cost us 54 cents per mile just to accept a trip and 27% of the time we will drive 1-2 miles and get cancelled because the passenger thinks we will take too long to get there!" Wise Guyy asked, his dander piqued by our recent story that complained of Uber drivers failing to show up and charging a cancellation fee. "Do you know Uber passengers 89% of the time slam the door upon exiting our cars! Do you know that 99% of Uber drivers DO NOT TIP their drivers!" Wise Guyy continued. How he arrives at those percentages we're not sure, but as for tips, last time we checked Uber's official policy was that tipping was discouraged. I use Uber a lot and always offer a tip but have frequently had drivers refuse to accept it. Maybe I'll run into Wise Guyy next time I'm in Los Angeles. I'll have my tip ready and will be sure to close the door gently.